Our heavy duty fabrication capacity is limited by our 50 ton crane. 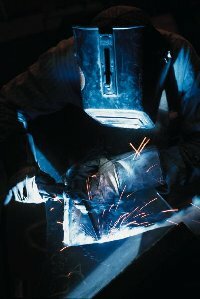 Whether you have one simple light weight prototype or a huge platform, our certified welders have the fabrication experience to complete your job. Precision cutting and fabrication is accomplished on a fully automated laser fabricating machine by a valued affiliate.